Counselling in Bournemouth and Dorset. 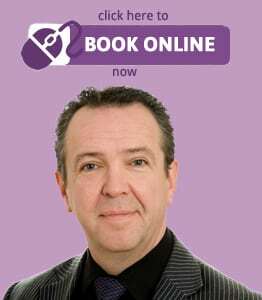 Making a positive change in your life in Bournemouth, Poole or Dorset is as easy as booking a free counselling assessment consultation. At various times in our lives, we all encounter challenges and experience unhappy periods. Sometimes the challenges are so great or so many that we may feel confused and overwhelmed. At such times, counselling from a professional counsellor who is unbiased and empathic can help us find the way forward, whether you live locally in Bournemouth, Poole or Dorset, or elsewhere. Often people rely on friends at such times and whilst this can be enormously helpful, friends, by their very nature, cannot be unbiased and do not have the expertise of a professional. Many people believe they are simply ‘stuck’ with how they think, feel or behave. Nothing could be further from the truth! There is little that can happen than cannot be fixed. Deciding to undertake a course of counselling in Bournemouth and making a commitment to undertake therapy can enable you to understand why you think, feel or behave as you do, how it originated and most importantly what you can do to change it. One of the very few circumstances in which change is not possible is in the case of bereavement. But, using counselling and psychotherapy, our experienced Bournemouth counsellor can help you accept that which you cannot change and enjoy your life in other areas. The purpose of counselling is for the counsellor to help you to help yourself, and counsellors do this in many different ways. Sometimes just by empathic listening, as often, merely speaking out loud about your problems can help you put your thoughts in order. Dolphin Hypnotherapy’s Dorset counselling service will not tell you what to do, and you will always be encouraged to make your own choices. A counsellor may however help you examine a full range of options, and discuss the pros and cons of each, so you can make a more informed decision. For more information and to find out how counselling can help you or to book an appointment with a counsellor in Bournemouth, contact Dolphin Hypnotherapy now, OR BOOK ONLINE using voucher code INITIALAC for your FREE 1 hour assessment consultation. (Please note that in the event of non-attendance or cancellation with less than 48 hours notice, our standard consultation fee will be charged).